In July 2017, the SBA certified TTC as a Historically Underutilized Business Zone (HUBZone) small business concern. 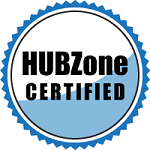 TTC’s HUBZone certification denotes our commitment to help the American economy employing personnel residing in distressed urban and rural areas of the country. The Government’s goal is to award 3% of its prime contracts to HUBZone entities annually; this endeavor has shown an substantial increase in small business set-aside contracts, specifically, those advertised on IT Schedule 70 in 2018 and 2019 restricted to HUBZone certified prime contractors only. Also, a HUBZone certification permits agencies the ability to sole-source niche efforts to TTC for contracts under $4M. For solicitations under full and open competition, TTC can receive a 10% price evaluation preference. In January 2019, the House passed a bill (H.R. 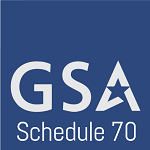 190) called the “Expanding Contracting Opportunities for Small Businesses Act of 2019.” If this bill becomes law, we will see a dramatic expansion in the size of sole source contracts for certified HUBZone contractors. SIN 132-51: Information Technology Professional Services – Includes resources and facilities management, database planning and design, systems analysis and design, network services, programming, conversion and implementation support, network services project management, data/records management, and other services relevant to 29CFR541.400. TTC supports United States Agency for International Development (USAID), Bureau for Management (M), Office of the Chief Information Officer (CIO) with Information System Security Officer (ISSO), Cyber Risk Management (CRM), and Penetration Testing Risk Management Framework (RMF) Services for Information Systems on a $45M prime Blanket Purchase Agreement (BPA) contract. We execute RMF supporting Cybersecurity activities for categorization of information systems; selection, implementation and assessment of security controls; and, authorization of information systems and monitoring of security controls. TTC manages requirements coordinating assembly features and parameters for applications, software, hardware and firmware per NIST, SNSS and NIPS regulations and directives.